In a world where acts of terror have become all too commonplace, America has turned to the elite warriors of special operations to lead the fight and hunt down those whose very ideology is one of hate for everything our nation stands for. Among those units one stands apart from the rest, carrying out the most dangerous missions with precision and now legendary lethality: the US Navy SEALs. What led these warriors to become one of the most feared and respected units in history? From their birth in World War II as combat swimmers clearing the beaches of Normandy to their evolution into fighting men who could operate anywhere in the world by sea, air, or land, the intrepid story of the US Navy SEALs is one of courage, sacrifice, and world-renowned toughness that echoes of other great military units of history—the Spartans, the Roman legions, or the samurai. 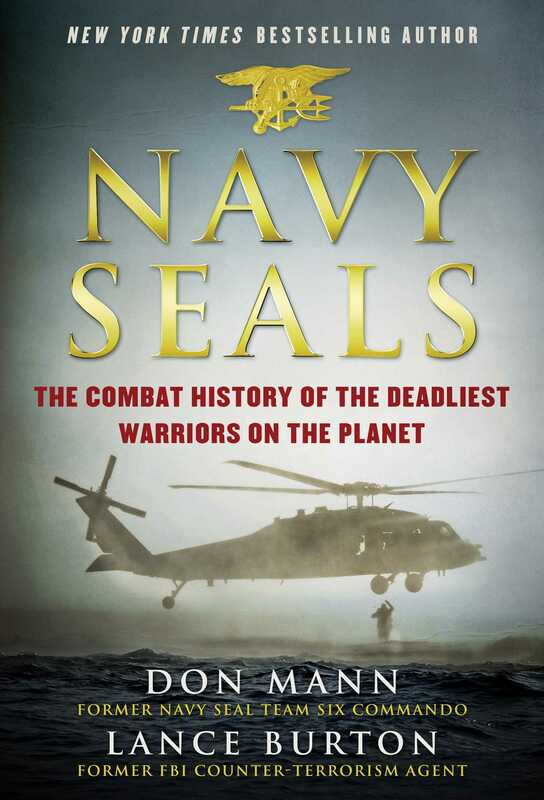 Take a look inside to find out what makes the SEALs America’s deadliest warriors. Mann and Burton take the reader through the inception of the Naval Combat Demolition Teams (NCDU) and Underwater Demolition Teams (UDT) during World War II, their testing and development in Korea and into the Vietnam War, where the SEALs truly laid the groundwork for their legendary status, and on into the present day. The authors highlight the major steps and operations along the way, discuss the training and what it takes, and explore some of the most important moments in SEAL history. Don Mann’s impressive military resume includes being a decorated combat veteran; corpsman; SEAL special operations technician; jungle survival, desert survival, and arctic survival instructor; small arms weapons, foreign weapons, armed and unarmed defense tactics, and advanced hand-to-hand combat instructor; and Survival, Evade, Resistance, and Escape instructor, in addition to other credentials. He lives in Williamsburg, Virginia.